Tough Pests. Easy Solution. Botanical Insecticide, Miticide and Nematicide. 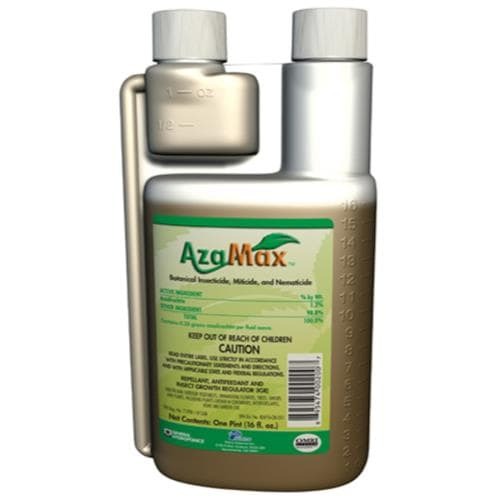 AzaMax is an all-natural, OMRI certified broad spectrum pest control product that can be applied systemically or as a foliar spray. 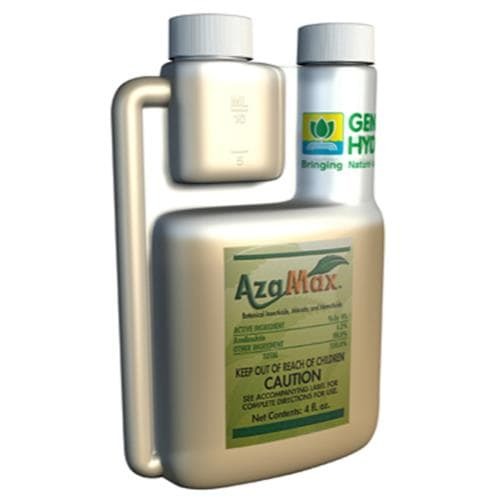 AzaMax is made from special Azadirachtin Technical extracted from the neem seed using patented extraction technology. The neem tree is known for its innumerable benefits. AzaMax contains Azadirachtin A&B as active ingredients and more than 100 limonoids. 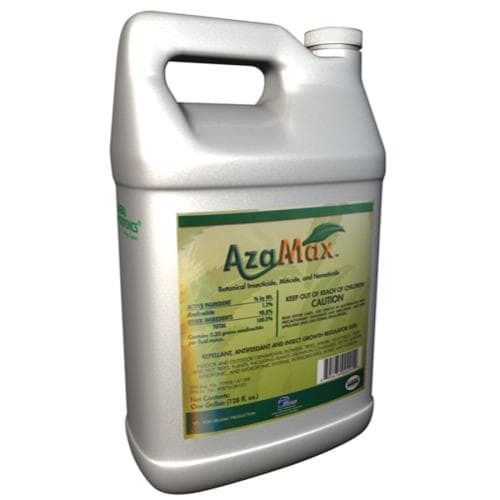 AzaMax does not use harsh chemical solvents and instead uses food grade ingredients. AzaMax is OMRI listed and licensed in all 50 states. (Not yet available in Canada.) 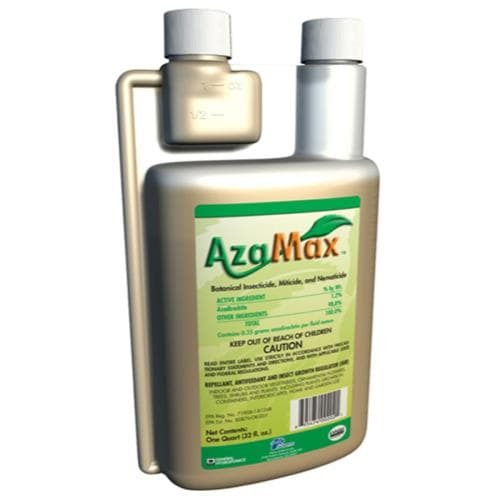 Create your own pest free zone with AzaMax. Foliar: Mix 15mL -or- 1TBSP per gallon. Drench/Hydro: Mix 1mL per gallon -or- 1 tsp per 5 gallons.